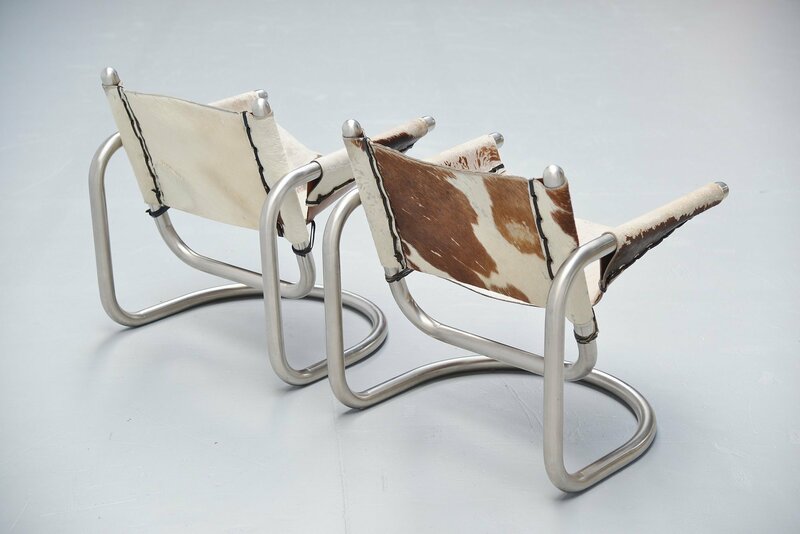 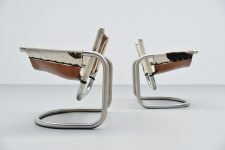 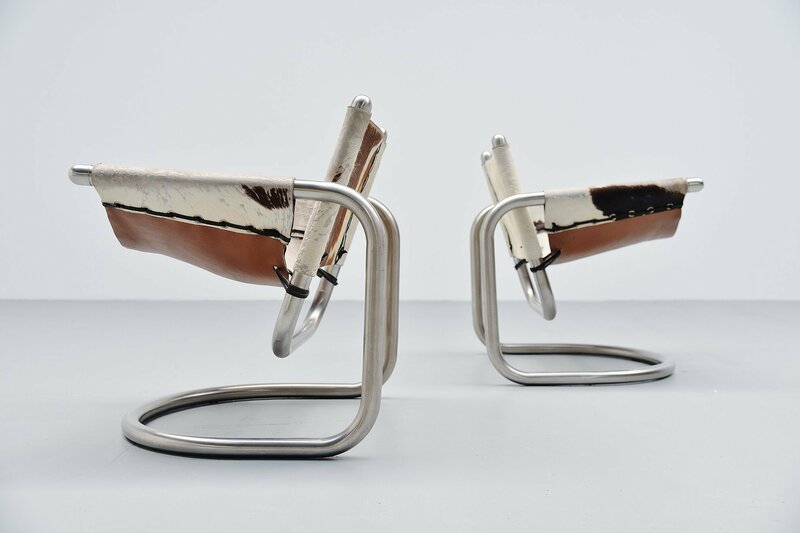 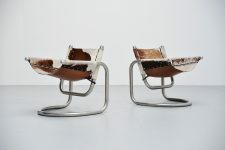 Very nice and unusual pair of lounge chair designed by unknown designer or manufacturer, Italy 1970. 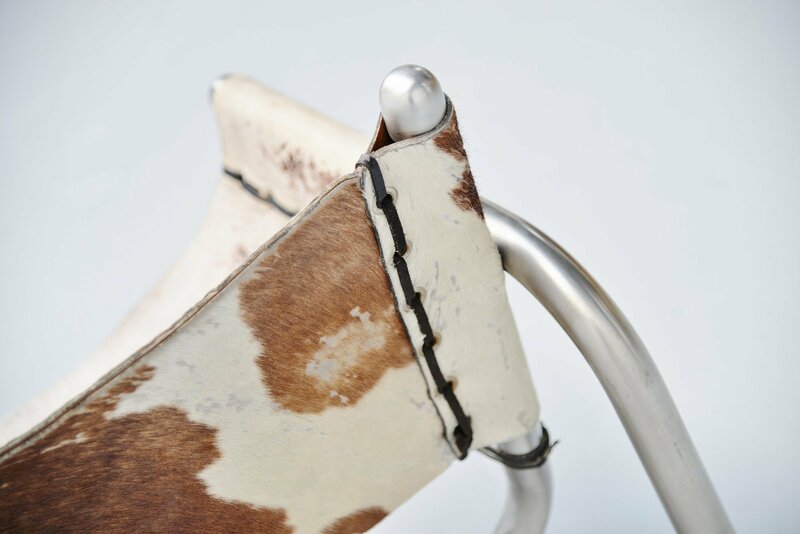 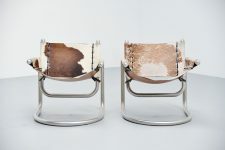 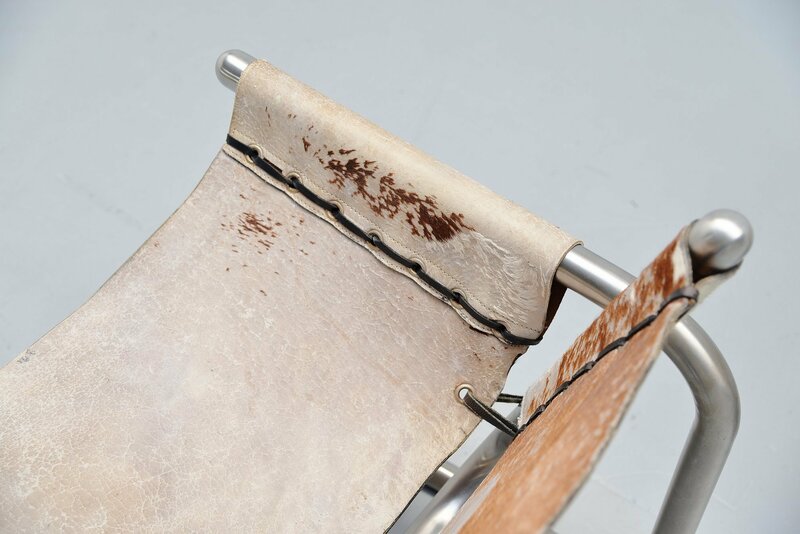 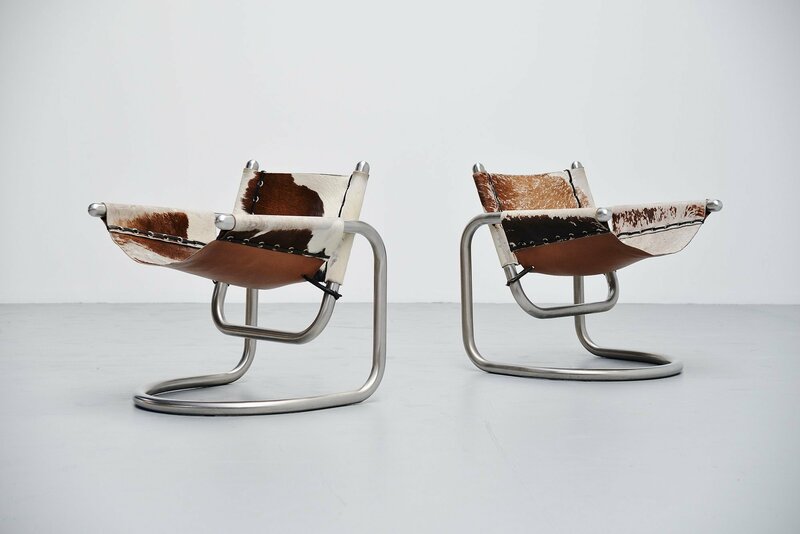 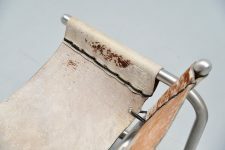 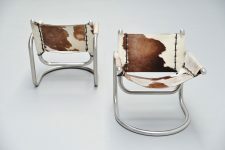 The chairs have a brushed steel tubular metal frame and cow skin upholstered seat with leather laces. 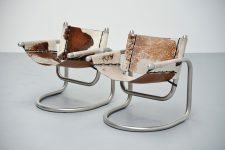 The chairs have a very nice and unusual shape, a bit in the manner of Claudio Salocchi. The chairs are in very good original condition, cow skin has some fading on the seats but this is a very nice patina on these chairs.